On the crest of a veritable wave of folk singer-songwriters over the last couple of years, conditions are ripe for those in their late teens and early twenties to squat in a disused building somewhere, and attempt to write songs which will sufficiently convey to us their abject disillusionment with the world and sheer brokenness of heart. 22 year old Luke Rathborne, originally from Maine but now resident in Brooklyn, is the latest contender to reach the front of the queue, though he arrives with some impressive references on his CV; he shares a manager (though by no means a sound) with The Strokes, counts Devendra Banhart among his fans, and has managed to persuade members of Antony And The Johnsons to perform on this, his debut mini-album. To some extent, this early recognition is deserved. 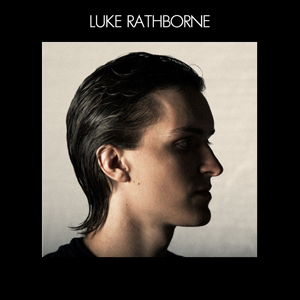 Rathborne’s mixture of delicate falsetto and rasping chorus delivery mark him out as having something unique, while some of his brand of material is bravely understated. Opening track ‘Tomorrow’ is an instant highlight, upbeat and with that trademark chorus rasp immediately in evidence. ‘Dog Years’ has an Avi Buffalo feel, and another rousing chorus that must have left his throat in tatters following the recording. ‘Pantomime Fear’ begins to take its foot of the accelerator, before ‘I Can Be One’ truly opens the more understated section, featuring for the first time a gentle, piano-led falsetto that could easily be the tribute to Antony Hegarty that the poaching of his band members requires. ‘Solon Town’ is a folk track that sounds like Fionn Regan in the way that Rockwell’s ‘Somebody’s Watching Me’ once sounded like Michael Jackson. In other words, uncannily. Things then take a turn for the utterly mournful for a couple of songs, ‘Sad Days’ living up to its title with a nice line in string accompaniment, while ‘Motor City’ is slower and more minimal still, the sort of stuff it might not be best to listen to if you’ve had a bad day. ‘You Let Me In’ finally comes full circle, a gentle verse leading back up to an anthemic chorus, rounding the record off nicely.